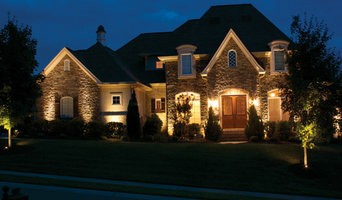 We are a manufacturer, distributor, retailer and full service installer of outdoor lighting systems. 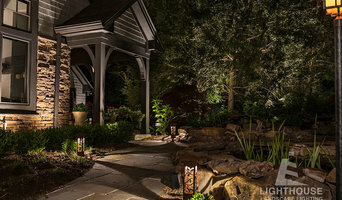 Landscape Lighting Resources prides itself in the quality and service of every project that comes our way! Lighthouse Outdoor Lighting is Charlotte's most respected and trusted name for custom landscape and outdoor lighting design and installation. We specialize in architectural lighting design and enhancing outdoor living spaces at night. We also specialize in difficult, highly customized and one of a kind lighting solutions for residential and commercial applications. When others simply walk away or might cut corners because of the technical difficulty of a project, we bring solutions and precise execution to challenging lighting projects. While our competitors primarily focus on simply selling you "Lighting products with an installation service", Lighthouse focuses on the "design and effects" our lighting brings to your architecture and landscapes rather than the "tools" to make it happen. Consider products for a moment; we do use only the most durable materials for our equipment such as high quality and consistent color LED lamps, along with brass, stainless steel and copper light fixtures that will endure the harsh Indiana seasonal weather changes. Using good quality products is very important, but having a good and thoughtful lighting design is of much greater significance. A successful lighting project is so much more than simply the sum of its parts. It is having the knowledge and experience of how to use these tools to seamlessly blend layers of light together and create stunning, visual works of art after the sun goes down. This is what sets us apart from all of our competitors in this field of outdoor lighting. Lighting is an art and it takes an accomplished eye to be able to visualize the final product while in the planning stages. Our team of talented lighting designers and installation technicians have a wealth of experience in all types of lighting mediums. 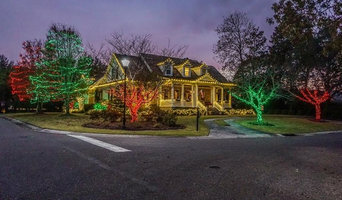 It is our passion to create a truly one of a kind experience for each and every one of our clients and to change the way they view and experience the warmth and elegance of their home and property after dark. When quality and creativity are important, choose Lighthouse of Charlotte. 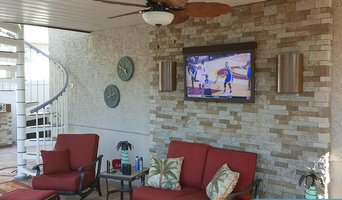 Whether you’re on your patio, deck or boat there is a SkyVue LED Outdoor TV that will fit your space. We design our weatherproof TVs and sell factory direct. Built in the USA. Gastonia Mobile Dent Repair is the premier paintless dent removal company in the area. Our mobile dent repair service comes to your home or office in the Gastonia NC area. All our work is 100% guaranteed. Average repairs take under 2 hours. Enjoy the benefits of having a Security Camera Systems and know how jobsite cameras are changing the performance of contractors on jobsites and your corporation! What services do Denver outdoor audio and visual system professionals provide? Home theaters are moving outdoors, too. Sports fans can grill without missing the game, and families can invite neighborhood friends over for movie nights. Special weatherized flat-screen TVs are coated to minimize glare. Imagine your Denver, NC backyard with a custom-designed outdoor theater system — complete with a large projection screen. It makes backyard entertaining easy. Find outdoor audio and visual system professionals on Houzz. Look in Houzz’s Professionals section to find Denver, NC outdoor audio and visual system experts. Narrow your search to the nearest city or metro area for a list of nearby businesses. Get contact information, read reviews and look at completed North Carolina custom outdoor sound system projects.